Medline has advanced the technology of stretch synthetic exam gloves. This innovative latex-free stretch synthetic glove gives outstanding tactile sensitivity with a unique softness and flexibility. 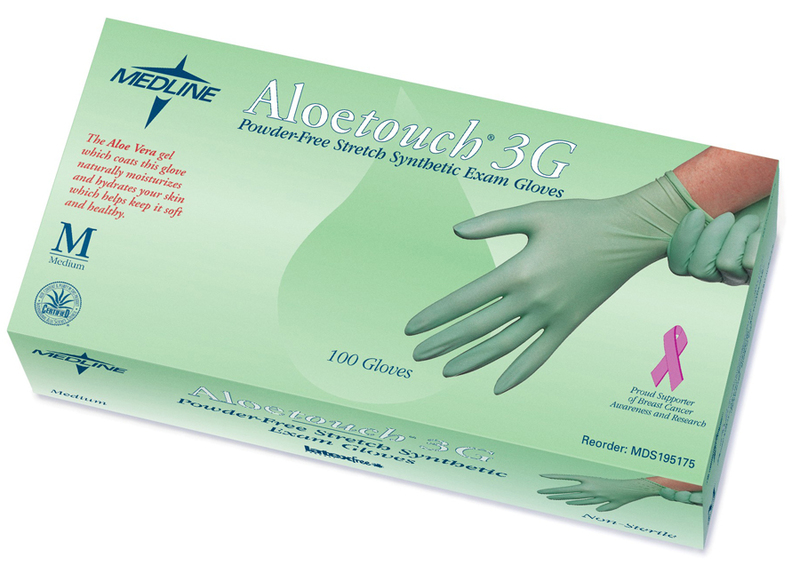 The Aloetouch® 3G Exam Glove has longer polymer chains in the resin that makethe gloves MORE workable, MORE flexible and MORE resilient than other vinyl synthetic gloves.